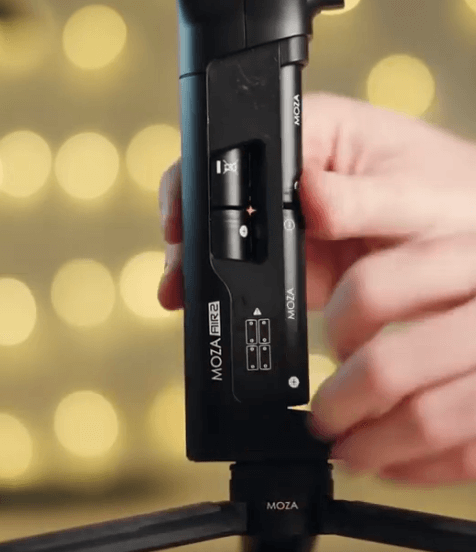 Do you ever wonder just like me how on earth these wonderful timelapse videos are shot with MOZA Air 2 gimbal? If you do, then you have come to the right place, because in this article I will show you how to unlock this cool skill with detailed step by step guide. Hopefully, you could shoot a fabulous timelapse video yourself as well, and if possible, send it our way to share with us. You are more than welcome. 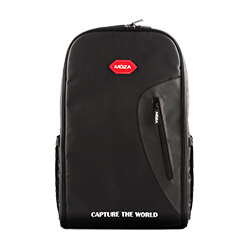 Camera, MOZA Air 2 gimbal, tripod(if needed), camera control cable. 1. 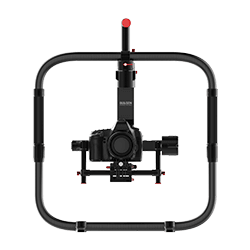 Connect the camera to the MOZA Air 2 gimbal with camera control cable. 2. If you shoot a street scene, then you may need to mount a filter on the lens in order to blur the cars. 3. 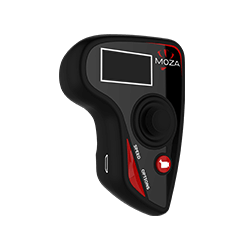 Power on the MOZA Air 2 to do the gimbal settings. First select the camera mode in Camera set, choosing the same brand with your camera brand, and in my case it’s Sony. The second useful setting is tripod mode. 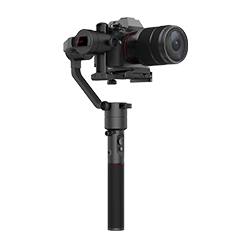 Usually, you should accurately calibrate the gimbal,but when you turn on the the tripod mode, everything will work fine. 4. 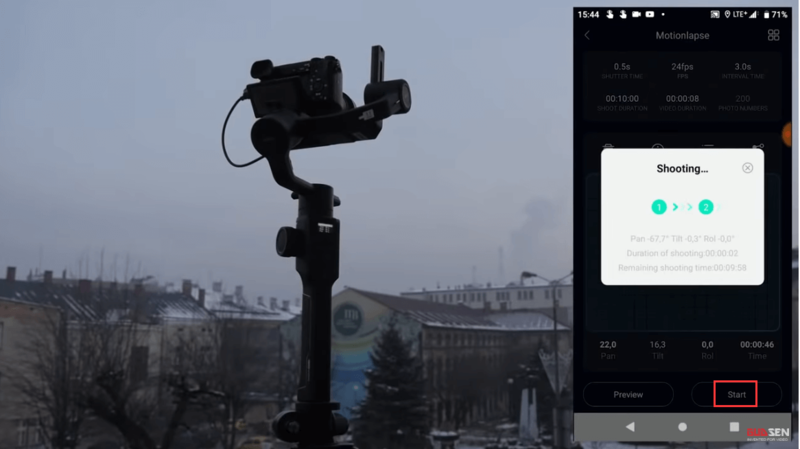 Open the MOZA Master APP and connect the gimbal to set the timelapse parameters. 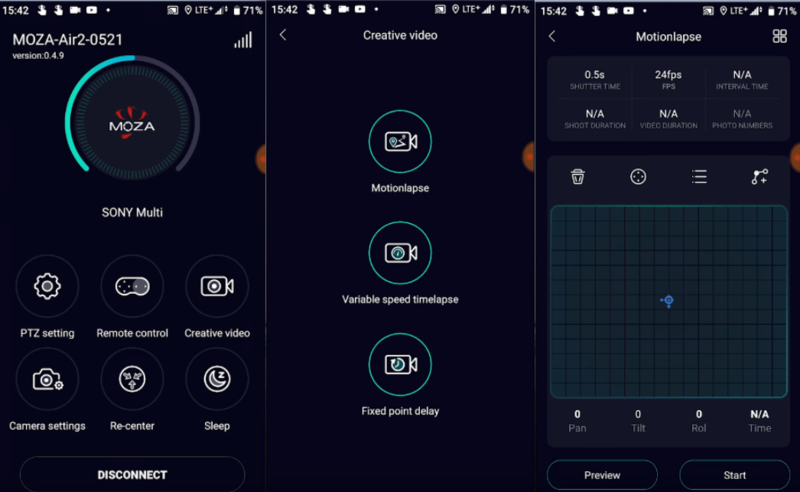 Select “Creative Video”, then “Motionlapse”. Here we will set a timelapse shoot. With MOZA Air 2 you can do multi-frame movement, which means you can choose more than two camera positions within one timelapse shoot. Let’s make a shoot in which we follow the road. To add a keyframe, tap the button marked in red and this keyframe will appear on the screen, then you could add other keyframes. In this shoot we have 5 keyframes. 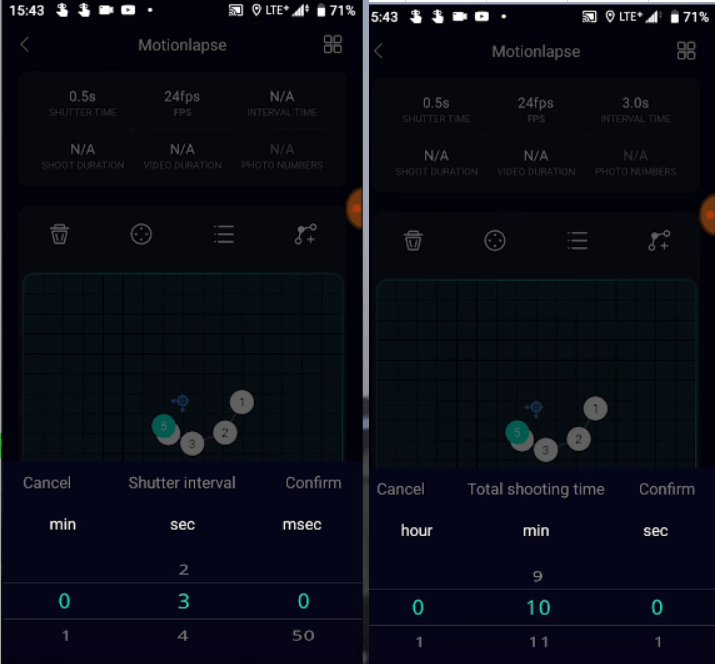 After that, we set other parameters like shutter interval and shooting duration. 5. When all parameters are set, we could preview this shoot to see whether the camera moves in the same track as planned. 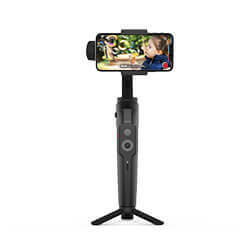 Besides, we could go to each camera position to fine-tune it by tapping that position showed on your phone screen and moving it, and the gimbal will also move with it. 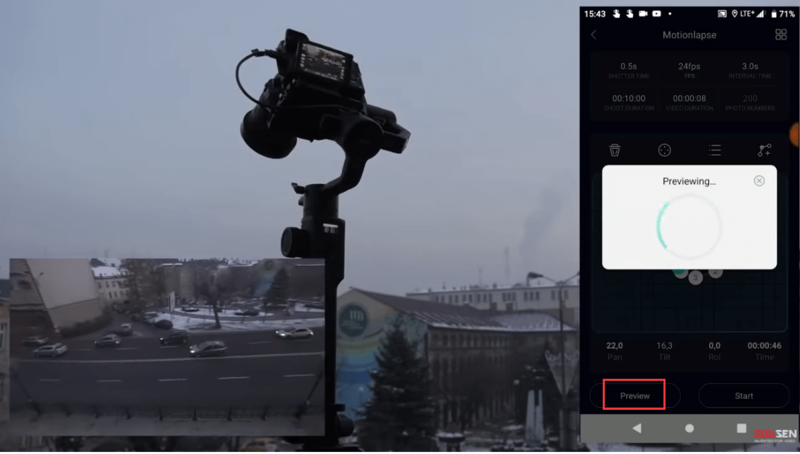 If all thing is ok, tap the Start button to start the timelapse shooting. Of course, you don’t always need to use more than two keyframes, sometimes simplicity is the best and you could also shoot wonderful videos with just two keyframes. 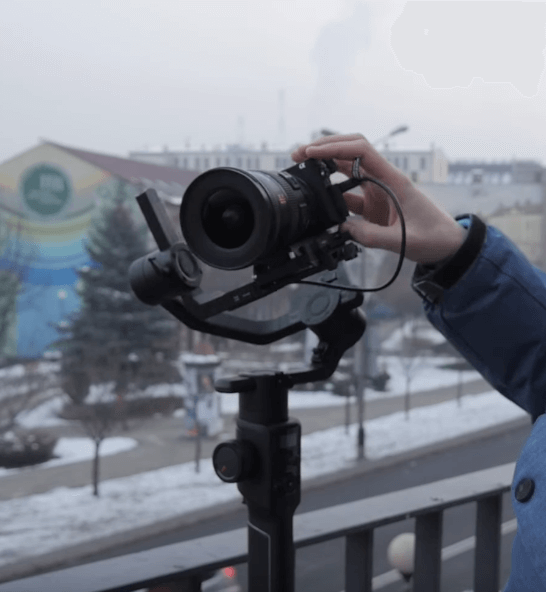 Hopefully, this article could help you master this very cool timelapse shooting skill. 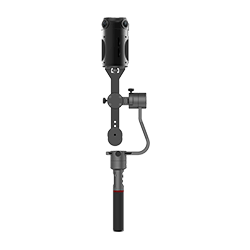 Put the MOZA Air 2 gimbal in the tripod legs and make sure the legs are tight. 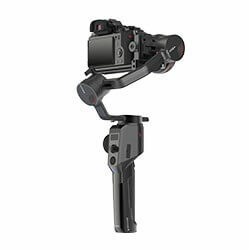 Open the legs so that the gimbal can stand on the flat surface. Make sure the control panel is facing you and the trigger is facing outwards. Open the battery hatch cover by pushing it downward and pulling it out. Insert the batteries in the direction showed on the lower side. When finished, close up the cover by the pointed tip into the hole, then the back will snap in. 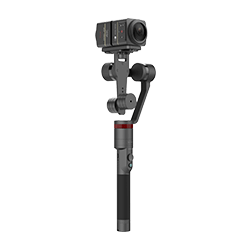 Please always leave the side motor on the right side of the gimbal (from your own point of view) and the gimbal back facing you. 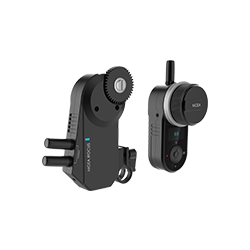 Pull out the quick release plate, mount it onto the camera and screw tight the plate to the camera. 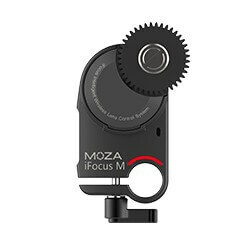 The hole marked in red is where the iFocus rod goes through to mount it on the camera. 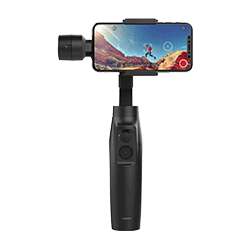 Put the camera into the gimbal slot and pull the bar back to lock it into place. 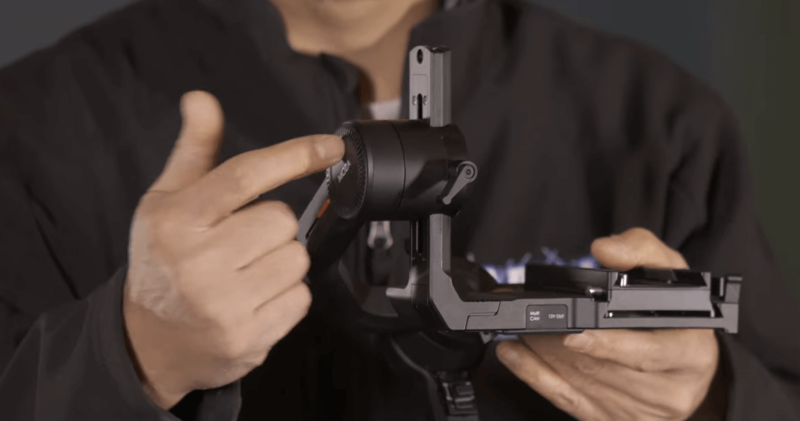 If you want to use a viewfinder, please unfold it before you start balancing the gimbal. There are 3 axes balance. First we balance the tilt axis. There is a small lock that you can use to secure the roll axis so it doesn’t move. 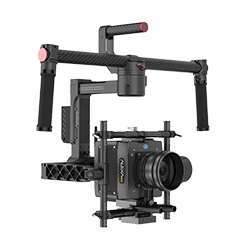 Facing up the gimbal and release, if it drops forward, we need to pull the camera up; if it drops backwards, we need to push it up. Make adjustments until it stays, then secure it. The tilt axis is thus balanced. Next step is to balance the roll axis. 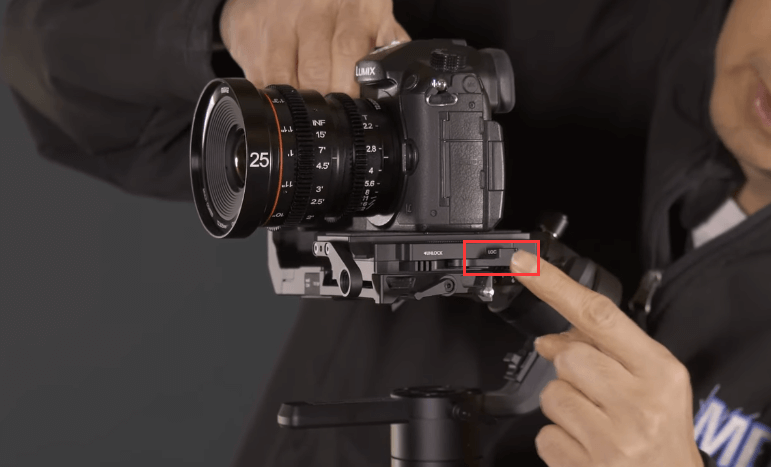 If the gimbal falls to one side, push bar to the opposite side. Once balanced, look it into place. Now our three points are now balanced. When you tilt in certain direction, the camera will stays its position. Last part is to balance the Pan Axis. The manual suggests holding is horizontally. 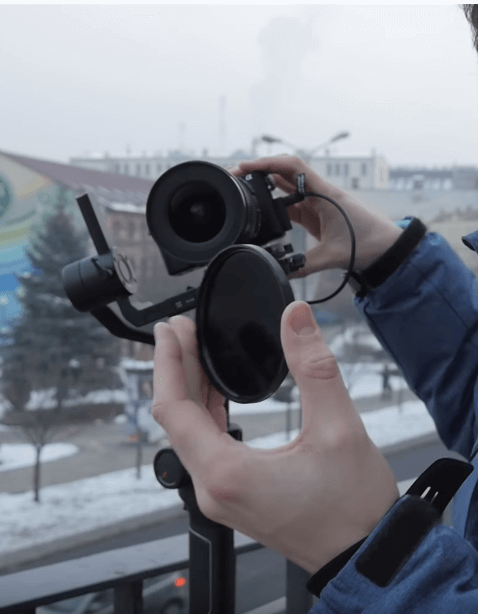 However, if the gimbal and camera are too heavy for you, here is a better way to do it. 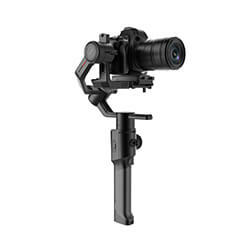 Put the gimbal on a flat surface and tilt it to one side. 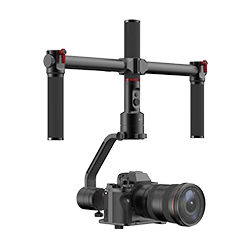 If the gimbal moves, then it is unbalanced. 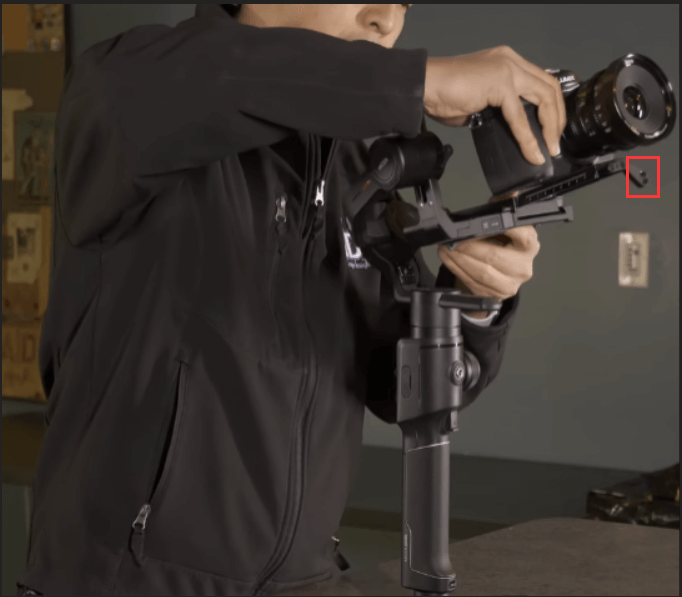 Adjust the bar to balance until the gimbal stays, then it is balanced.